Almost ten years ago the general manager of the grocery store where the Nehrings shopped regularly asked me if I’d like to do a book signing in his store. (This store is part of an independent chain in my area, with over 90 locations.) An author friend of mine once talked about doing grocery store events in Houston, so the idea was already slumbering in the back of my head. After short consideration, I decided to give bookselling among the groceries a try. Here’s how it worked for me. I made an appointment with the head of the chain’s department over non-food items. At our meeting he looked at my books and asked a number of questions, finally deciding I had a good product to sell. I signed a non-food vendor contract with the chain. Shoppers who wanted a signed book could put it in their cart and it would go through check-out like the potatoes and canned peas. At the end of a signing day I would give the store an invoice for books sold, and they’d be in charge of sending my invoice to the home office. Not long after, a check for books sold, minus a small percentage for the chain, would be mailed to me. I was given a list of the stores in my area, and I could pick any store I wanted, deciding when I’d like to sign there. After trying out the idea with some trepidation, I now hold fairly regular Friday and Saturday book signing events in the chain’s grocery stores. In preparation I notify my contact in the General Merchandise office, she notifies her contact in that store, and I visit the store early, taking copies of the books (usually 4) I plan to sell on the days of my visit so they can put the UPC codes in their system. On signing days I am allowed to set up inside the front entrance of the store where I will be for seven or eight hours each day. I take in a small table, two chairs, a colorful cover for my table and set up books on easels and also any free hand-out material I am presenting—book cover postcards, bookmarks, and business cards. I stand most of the time, and I am usually the first person customers see when they enter the store. You might say I act as a greeter, offering a cheerful hello. If people hesitate or come to look at my books, our conversation continues. Grocery customers are a huge cross-section of humanity in any area, much more varied than those seen in any bookstore or at advertised signings. If you want to learn how people in an area look, sound, and live their lives, sign in a grocery store. I continue to be amazed at the number of men who shop alone and, more than any other group, enjoy finding someone to talk to, though they are not often book purchasers. Older women are excellent potential customers, and also like to talk. I hear many stories, some are incredibly sad. I have even shared hugs and tears with a few of these women. I have spoken with people, usually younger, who say they love to read and obviously want a book but explain they haven’t the money to buy one. An example is the young mother who showed me a $20.00 bill and said that was all she had to cover groceries for herself and her son for the week. The opportunity to own a real book signed by the author catches many. I also present books as excellent gifts, very easy to wrap and mail, and quite a few of my books are sold for gifts, though the purchaser often plans to read it first. A number of my customers have never been in a bookstore or even know if there is one in the area. Other differences between these and traditional book signings? The surprise element among those entering the store when they see my table. The number of people who want a friendly chat. Questions from those who are wanna-be writers or have even finished a book and wonder how to get it published. The number of people, generally middle-age or younger, who are in too big a hurry to acknowledge a greeting. 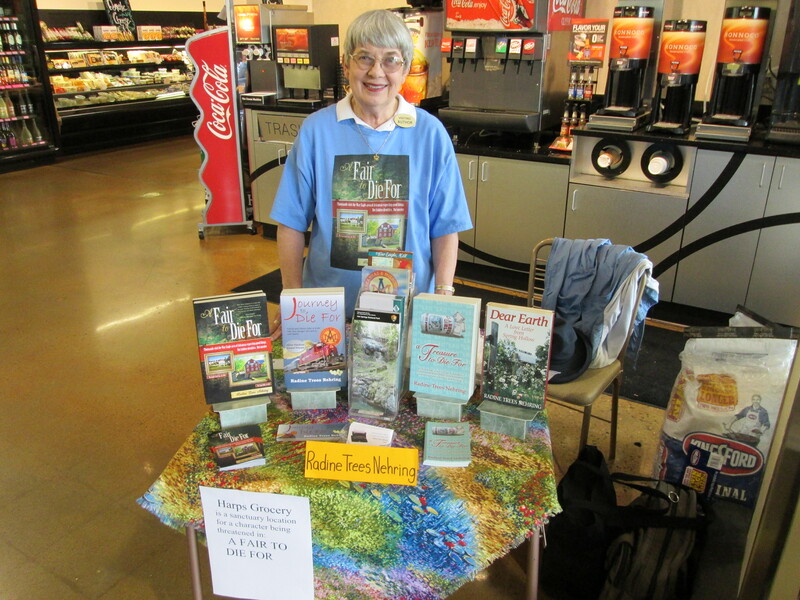 So, if you are a published author, I recommend grocery store book signings. Grocery stores are a very good place for profitable impulse sales! Although my first three novels were mysteries, I was struck by an idea that wouldn’t let go, and my most recent book, Jewels in Time, is a young adult historical fantasy. It’s a new world for me, in more ways than one. I have always been fascinated by English history, and came across the story of King John, better known for signing the Magna Carta under pressure from his nobles, who “lost” the entire treasure of the English Crown Jewels of the time, in the Wash, an arm of the North Sea. No trace of the treasure has ever been found. There are a number of theories of what might have happened, involving everything from the Knights Templar, the English nobles, and even King John himself. But the passage of 800 years, and new technology, have turned up nothing. 89300574 – dark coloured lights within lincoln castle grounds, at night. English people a lesson, that jewels and power are not what should be important, and they will return them when the people of the country have learned the lesson, which may be never. The story centers around the young girl Brianna, who has magical powers, but has been brought up by her mother in a small village near the Wash. When her mother leaves the village, and Brianna, under suspicion of witchcraft, Brianna is left alone. She soon sets out on her own quest to find her place in the world, guided by her magical aunt Andera and a cat named Orangino. Brianna has much to learn in her journey to safety from mortals who would condemn her as a witch, and is guided by her family in the magical realm. She finds teachers along the way, including an aging knight called Sir Michael, and the witch Rowena. It was a fun challenge to create the magic world, with the rules and structure of any world. The magic folk are able to live among mortals, and are able to travel between places and time periods by means of portals that are conveniently located in trees, seemingly solid walls, and other unlikely openings. They are often mistaken for ghosts as they pass through castle walls or move too close to a soldier at his guard post. Several readers have commented that the story cries out for a sequel. Brianna reaches the first milestone in her quest to find her place in her worlds, but she has much more to learn if she is to fulfill her potential. Like men and women of any time period, she must fight the discrimination and prejudice that comes of being different. There are always more mysteries to solve and battles to fight, and Brianna will learn to be the powerful magician she is destined to be. 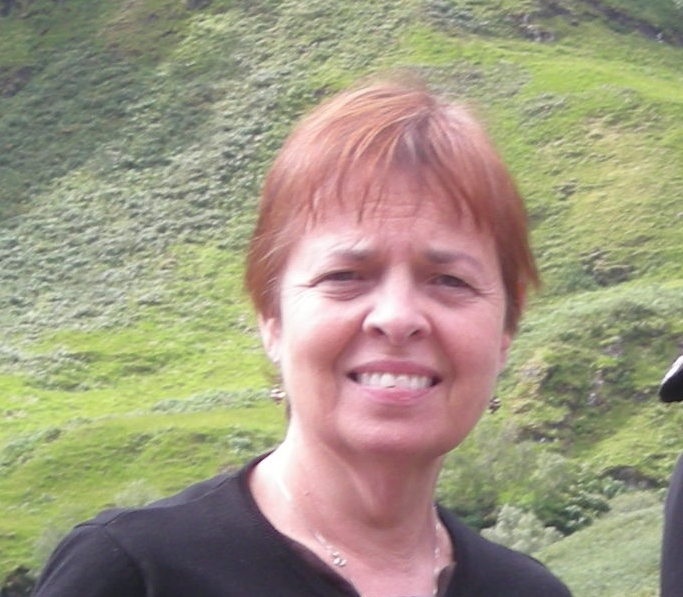 Kathleen Heady is a native of rural Illinois, but has lived and traveled many places, including numerous trips to Great Britain and seven years living in Costa Rica. She currently lives in North Carolina with her husband and two cats, Tang and Sirius Black. Her latest novel, Jewels in Time, is a Young Adult historical fantasy set mostly in thirteenth century England. 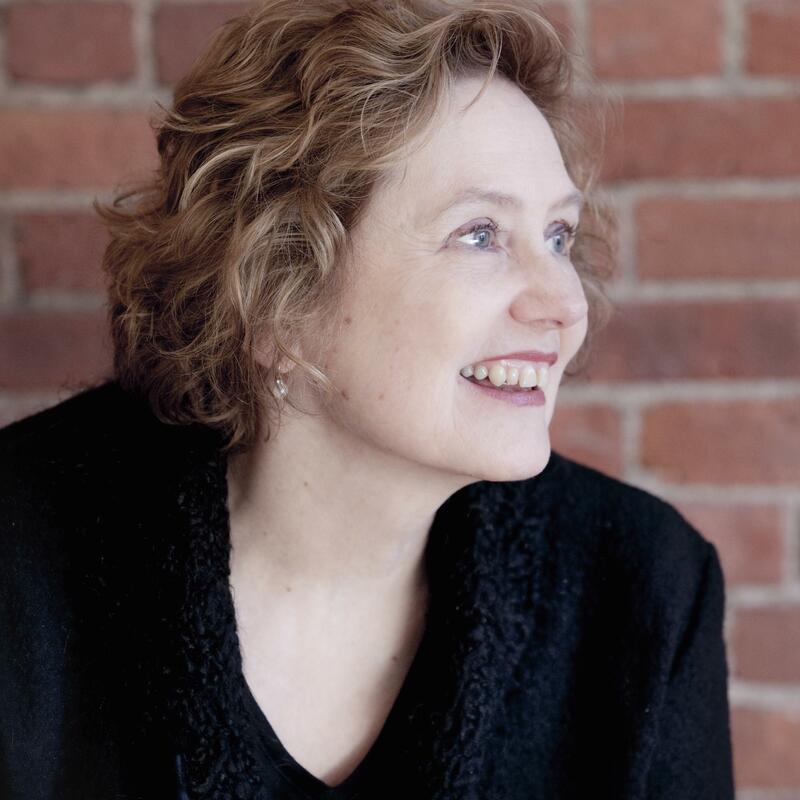 She is also the author of three mystery novels, Hotel Saint Clare, The Gate House, which was a finalist for an EPIC award in 2011, and Lydia’s Story. She writes because there are so many stories in this world and beyond, and the best way to learn is through stories. 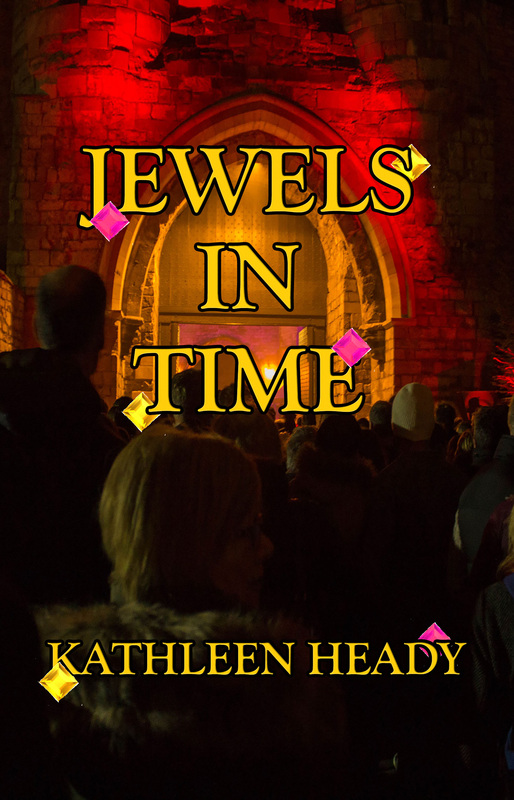 Although she loves writing mysteries, Kathleen has been told that Jewels in Time cries out for a sequel, so that is definitely a future project. Judge Roy Bean was a guy who owned a bar in Texas. There wasn’t much in the way of a court system around where he lived during the late 19th century, so he was appointed a Justice of the Peace. My research on this man (2.5 minutes on Wikipedia) showed me that he knew what he was doing. I’ve been asked over the years to judge fiction entries into various contests. There’s not much in the way of the law in the wilderness of contests. Unfortunately, here are things most people who enter these contests do (or don’t do). Thus, I’m giving you the list. If you violate any of these rules, I cannot guarantee that you’ll be spared a visit from the ghost of Judge Roy Bean (me) who will write you a strongly-worded email. Formatting: There are dozens of sites that give you standard formatting advice. In fact, if you Google “formatting fiction” you will get literally hundreds of sites. If you don’t know what style of formatting to use, then go to the Writer’s Digest site and use theirs. Fonts: This is part of formatting, but it deserves a special mention. If I see an entry that has fancy fonts, it will have lousy writing. If your story is not good in Courier 12, then it won’t be any better in Bazoom Cute 11.9. Spelling: I’m amazed that someone who wants to be a writer doesn’t know the difference between “you’re” and “your.” If you’re a lousy speller, run your spell checker. That means sit down with a dictionary and read your work. Or show it to someone who’s willing to proofread. Or pay someone to proofread. Backstory is not interesting. Really. I don’t care if your protagonist was jilted at the age of twenty-one by a classmate who later won a billion dollar lottery. If your backstory is compelling, then slip it in bit by bit after about fifty pages or so. Description is not interesting. Really. I don’t care if your protagonist is a petite blonde with green eyes the color of clover. If description is compelling, then slip it in bit by bit after about fifty pages or so. Motivation: You’re going to have to convince me why your protagonist is doing whatever he’s doing. I realize that every reader of fiction must make a willing suspension of disbelief. It’s hard for me to believe that some guy happens to plop down in the middle of a big mess that he alone can solve, but I love Jack Reacher. I will continue to read the stories because Jim Grant makes me believe Jack Reacher is supposed to be there doing whatever he’s doing. Bill Hopkins is retired after beginning his legal career in 1971 and serving as a private attorney, prosecuting attorney, an administrative law judge, and a trial court judge, all in Missouri. His poems, short stories, and non-fiction have appeared in many different publications. He’s had several short plays produced. 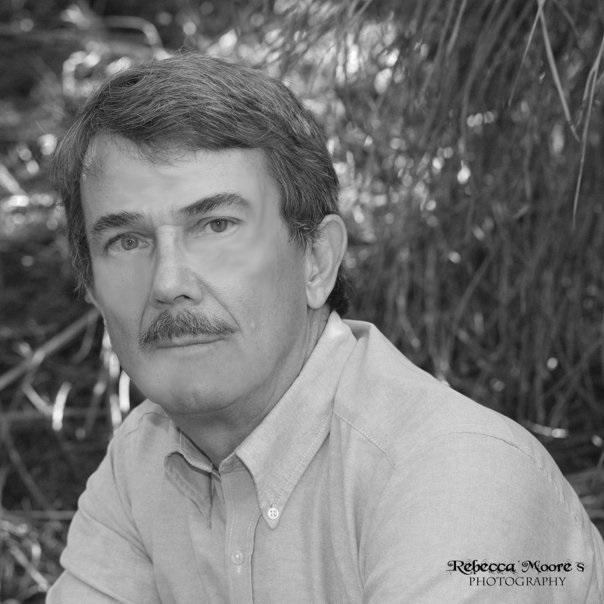 Bill is a member of Horror Writers Association, Missouri Writers Guild, Heartland Writers Guild, and Sisters In Crime. Bill and his wife, Sharon Woods Hopkins (a mystery writer! ), live in Marble Hill, Missouri, with their dogs and cats. Visit them on Facebook (link below). COURTING MURDER was his first novel and his second novel RIVER MOURN won first place in the Missouri Writers’ Guild Show-Me Best Book Awards in 2014. He has published six novels and another one is due out at the end of 2018! One of the things that’s been hardest for me as a writer is establishing a writing habit that allows me to write for a consistent length of time every day. I learned the importance of routine—the hard way—when I had my first child. My opinion went something like this: she’s got the rest of her life to be shackled to a routine, so why shouldn’t she enjoy being a free spirit now? Here’s how that turned out: she didn’t sleep through the night, she stopped taking naps at a shockingly young age, and we were both always exhausted and cranky. At my wits’ end, I went to the library, checked out a book (I forget the name of it now) on helping toddlers to sleep through the night, and took the first piece of advice I came to: establish a routine at bedtime. I did just that and you know what? Three nights later my daughter was sleeping through the night and we’ve never looked back. I’ve been a fan of routine ever since. I love the routine of the school year, of extracurricular schedules, of work schedules, of mornings and evenings. I’ve learned that we are happiest and most comfortable when we’re adhering to a routine. The same is true for many writers, and this writer in particular. Having a routine means that every single day, barring some calamity, I sit down in my chair and write. But here’s where I struggle: I’m not always able to write at the same time. Sometimes I write in the morning, sometimes in the afternoon, once in a while at night. What I need is a writing habit that will help me increase my output and give me the extra time I need for marketing and promoting the books I write. I’ve been doing some research into habits: how they’re formed and how long they take to form. I’m here to share some of that research with you. First, how are habits formed? Habits, once formed, are automatic; in other words, we engage in habits without thinking. We may brush our teeth right after breakfast every day, or we may grab our reusable shopping bags every time we go to the grocery store (this habit took me some time to establish). These things we do without thinking—they’re automatic—and they free up space in our brains for other thoughts. Habits have three parts: trigger, activity, and reward. The trigger is an environmental cue–something that tells the brain that it’s time to engage in certain behavior. For a writer who wants to write first thing in the morning, the trigger might be pouring that first mug of coffee. That tells the brain it’s time to turn on the computer, sit down, and write. Often the best trigger is another habit (like making coffee in the morning). The activity is simply the behavior that will hopefully become a habit (writing at the same time every day). The reward is going to be different for each person, but the reward is essential or the behavior is not going to become a habit. When you write early in the day, your reward might be a sense of accomplishment for work completed before, say, nine o’clock in the morning. Second, how long do habits take to establish? The old conventional wisdom was twenty-one days. The new conventional wisdom is sixty-six days. Neither is technically correct. The truth is that it takes people different amounts of time to form habits based on their goals and their rewards (in one study, anywhere from eighteen to 254 days). If a person has a reasonable goal for creating a habit, the habit is more likely to develop quickly. For example, a writer with an initial goal of writing for ten minutes or writing one paragraph is more likely to be successful than a writer who starts with an initial goal of writing two thousand words a day. Once that first goal is reached, though, it becomes easier to set a higher goal. If a person chooses small, meaningful rewards following the behavior, that will also increase the likelihood that the habit will form quickly. But what is “meaningful”? “Meaningful” simply means that the reward has to be connected somehow to the behavior and it has to be available only when you perform that behavior. For the writer, the sense of satisfaction that comes with writing a scene or even a really good sentence is a great reward: it’s connected to the behavior of writing and the writer can only experience that feeling through the act of writing. Now that I understand how a habit is formed, here’s what I’ve decided to do: I’m going to take one small step in the direction of forming an early-morning writing habit. I’m going to get up at the same time every day. Right now I get up at different times depending on when my family members need to be out the door, and that’s not working. After I get up, I’m going to turn on the coffee maker, then I’m going to turn on the computer. Once I have that coffee, I’m going to sit down and write. My reward has always been the same—that feeling of accomplishment that can only come from writing. 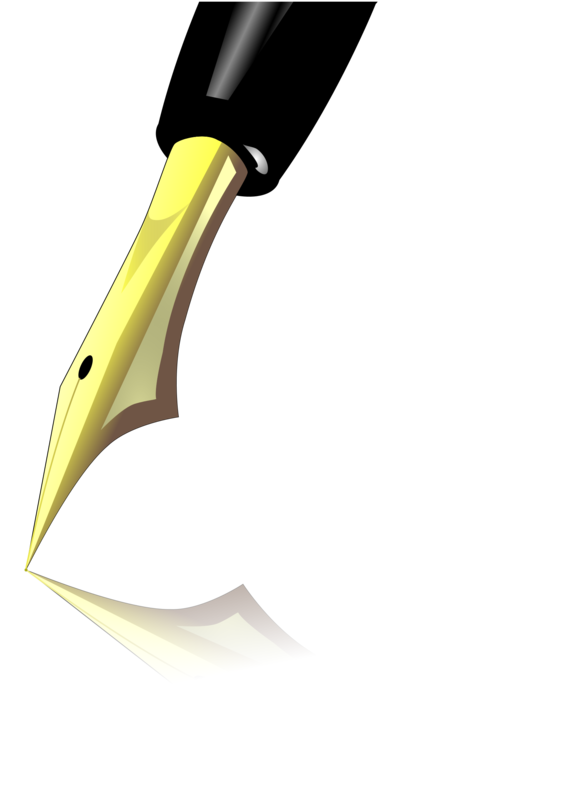 Do you have a writing habit? Care to share your secret? Amy is a recovering attorney living in Southern New Jersey. 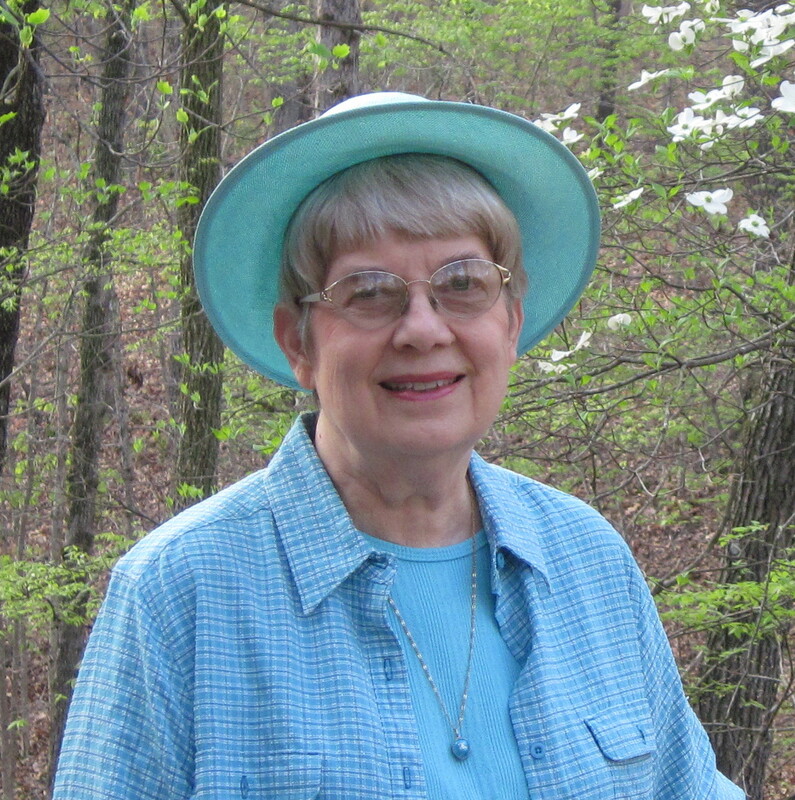 She is active in community organizations and loves reading, cooking, and traveling when she’s not writing. 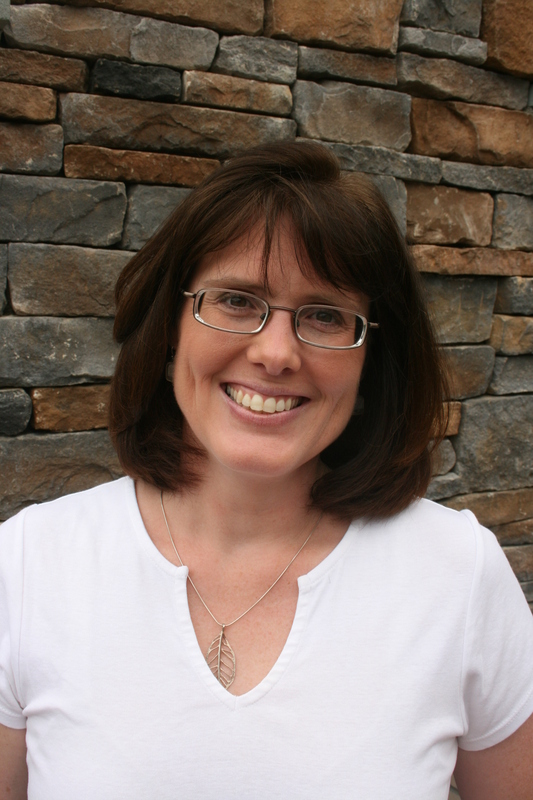 She is currently working on a second cozy mystery and a historical mystery set in Cape May County, New Jersey. Will Rees, the traveling weaver who serves as the detective in my historical murder mysteries, has a strong connection to the Shakers. 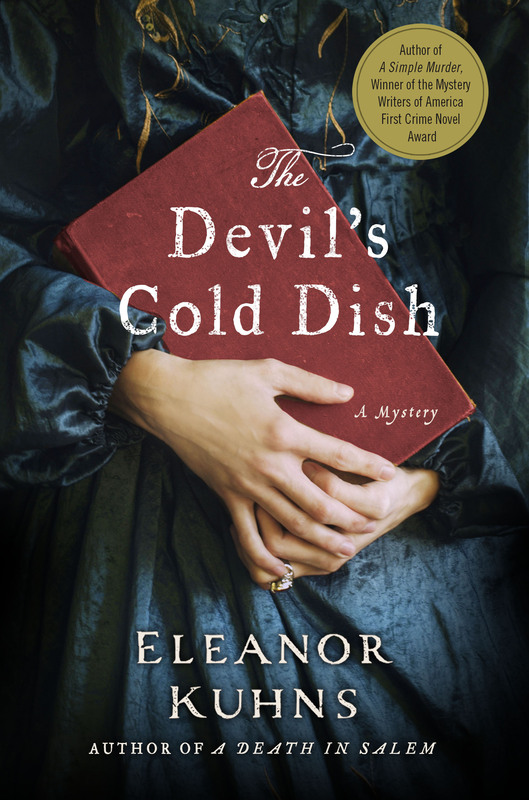 In my first mystery (A Simple Murder) Rees is drawn in to an investigation at the Shaker village of Zion and develops strong bonds with them. Additionally, his wife Lydia is a former Shaker from that community. After the events in A Devil’s Cold Dish, Rees and his family seek refuge with the Shakers in Zion once again. The Shaker Murders begins with Rees’s arrival at the village. The very next day Brother Jabez, a Shaker who had been away working with the current leader Mother Lucy Wright, is found murdered in a washtub. 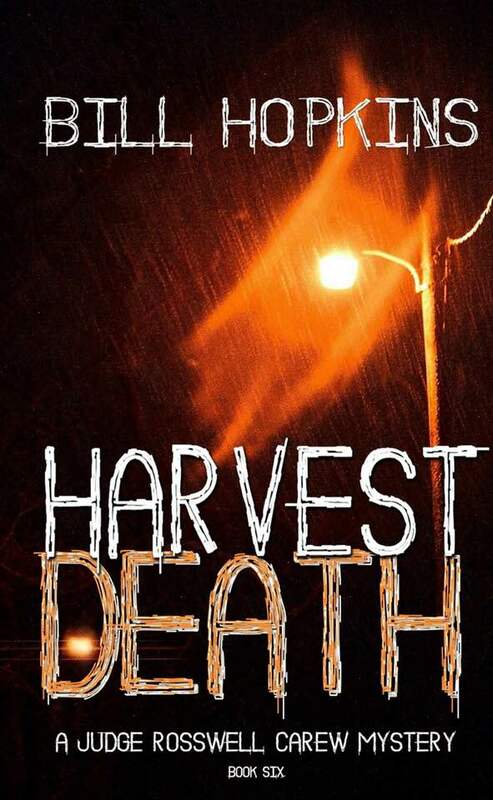 Several other murders quickly follow, terrifying the village and setting Rees on the hunt for the murderer. Surely he cannot be one of the Shakers! They are a non-violent pacifist faith. Officially named The United Society of Believers in Christ’s Second Appearing, the name ‘Shakers’ is a contraction of Shaking Quakers. They were so-called because of their enthusiastic services with wild dancing, speaking in tongues and other manifestations of the Holy Spirit occurred. The faith was brought to the colonies in 1774 by Mother Ann Lee and still exists today although only three of the once many thousands remain. They believed in the simple life and because every action honors God they strove for perfection in everything they did. A well-known Shaker saying is “Hearts to God, Hands to work.” In an era with no safety net, and a time when families could be expelled from villages to the dangers of the open road at the whim of the Selectmen (a practice I explore in Cradle to Grave) the Shakers provided a refuge for many. They adopted orphans as well as taking in children whose parents could not care for them. Some were ‘contract apprentices’ but the Shakers made no distinction in the treatment of the children. Both boys and girls were educated, (girls in the summer, boys in the winter) and by adulthood could read and write and ‘figure’ as well as run a farm. Although the Shakers hoped the children would ‘make a Shaker’ – and many did, it was not required and most children married out of the community. Quite a few of these children wrote about their experiences and it is clear the bonds between the Sisters and the children remained both affectionate and strong. The Shakers also took in adults. Anyone who made it to a community and expressed an interest in joining was welcomed. As a consequence people who were down on their luck would join in the fall – and enjoy three meals a day and a bed to sleep in all winter – but leave again in the Spring. These temporary converts were so common the Shakers had a name for them – Winter Shakers. So I asked myself what happens if one of these converts is a criminal on the run? Or even a murderer? They would be hiding among gentle peaceful folk who would suspect nothing. Since unnecessary speech was discouraged questions about one’s past would not have been asked. And, in the days before fingerprints, DNA and nationwide databases, detecting these wolves would be difficult if not impossible. With the regular influx of people, some criminal, there could be any number of secrets that a person would try to hide. Since the Shakers are a celibate faith, sexual transgressions are treated harshly, usually with expulsion. Keeping that a secret would be important. Converts were – and are – required to surrender their assets. The community owns everything. What if one of these new Shakers is hiding property or jewelry? Would that be a secret worth killing for? And those fleeing the consequences of past crimes would certainly want to keep their pasts secret. Blackmail, in other words, would be a strong motive for murder, especially if the secrets were in direct opposition to the Shakers’s core values. The Shaker community might prove to be a refuge for some but in The Shaker Murders it is another dangerous situation for Will Rees and his family. The murderer has a lot to lose and will stop at nothing. It is up to Rees to find the wolf hiding among the sheep before another murder, this time maybe of himself or one of his family, occurs.